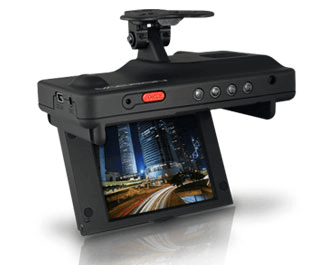 Safety Track’s Award Winning Single Lens In-Vehicle Fleet Camera enables you to review video, audio and GPS data using a single 1080P camera technology. Gain insight into your driver’s behavior and what your driver sees. This cost effective solution can give your Fleet Manager the peace of mind he needs, knowing that a video copy of the day’s history is being recorded. Never have a frivolous lawsuit again. Know exactly what happened in case of an accident. Lower your insurance rates and increase fleet safety with our Single Lens In-Vehicle Fleet Camera. Built-in Full HD 5M CMOS Sensor. Viewing angle approx. 105 degrees. Suitable for use in all types of vehicles. Small design and easy installation. Equipped with 3 inch TFT LCD screen to make adjustments of recording angle easily. Also providing photo shooting manually. During playback of video footage and photo, the built-in screen direction sensor will detect screen side. Video record outside driving conditions and audio record inside the vehicle simultaneously. SD Card Class 10 or above recommended. MAX 32GB. G-Sensor sensitivity can be adjusted according to vehicles and road situations. When detecting a strong shock, system will start emergency recording and keep the files without being overwritten. Motion detection recording function during car stopping (external power source is needed). GPS and image data are recorded and playable on client software. Lane Departure Warning System, to warn the driver with the beeper when driving off lane.